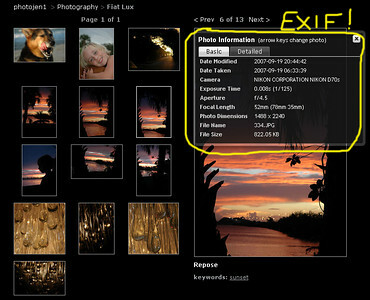 - okay, so if you right click the question mark, it takes you to my gallery at smugmug in which you can wave mouse over photo, click on photo info and see exif details....not clean or pretty - but done for now... think I may need to be in the beginners forum instead of the contests and challenges until I get this worked out - any chance of a move? I like it. Three things I would try is to complete the frame on the left side (it seems a bit heavier on the right). Also I would maybe try to sharpen the background a bit. And finally I would crank up the saturation a tiny bit. 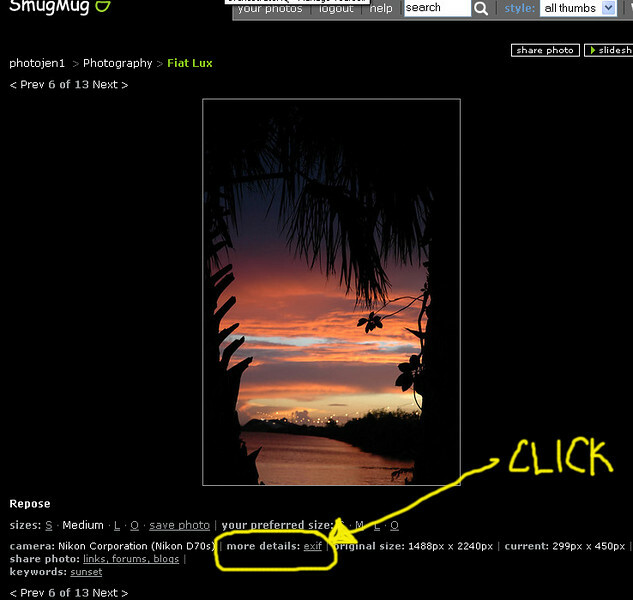 Thank you - I have just created SmugMug gallery so hopefully I can extract the exif and get to work on pp. 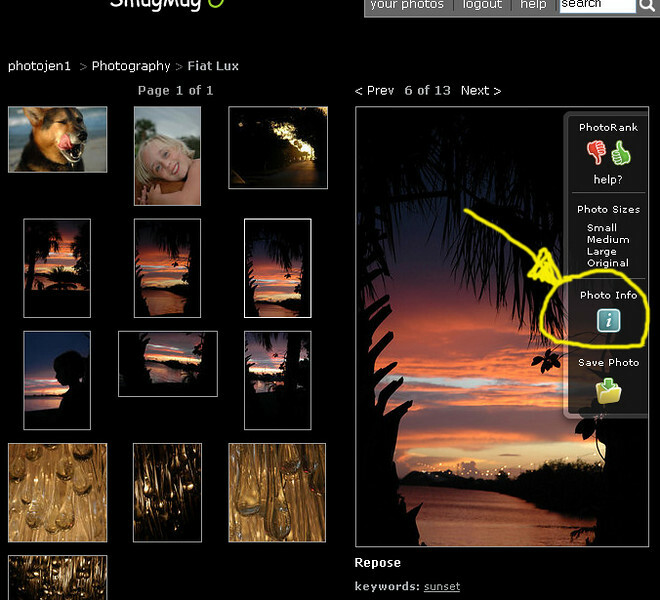 Your image is gone, you may need to enable external links on smugmug. I think I was working on it at the time and believe it to be up now but I'm swimming in muck as far as getting this posted correctly! OK, Jen, I can see your image, everything is fine. 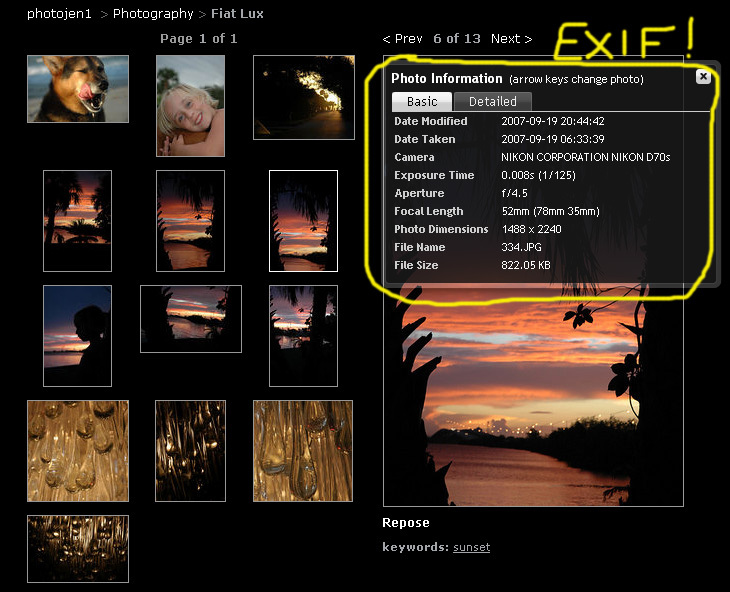 Now for the elusive EXIF, how about a pictorial step-by-step? 6. That's it! Now you can just copy that link just below the thumbnail of your image and paste it underneath your photo (which you know how to do, posting a photo, just like in the first post of this thread) in the official entry thread. Any more questions, just holler. there you go, easy! 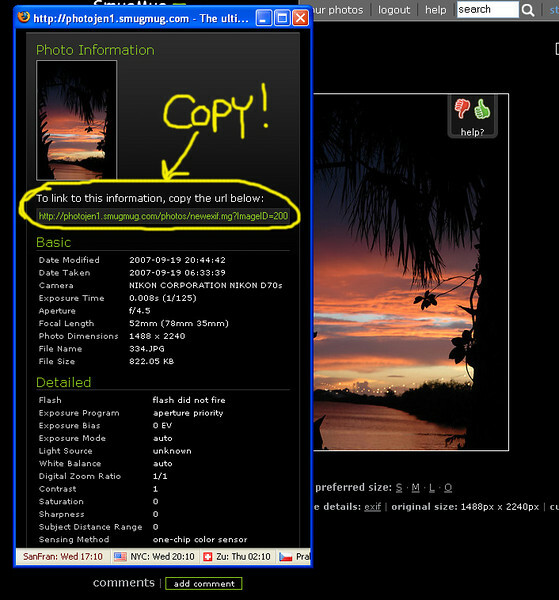 Just add that (or exif of any other photo) along with the embedded photo itself, and you ahve yourself an official entry! Think you can stop at this step. 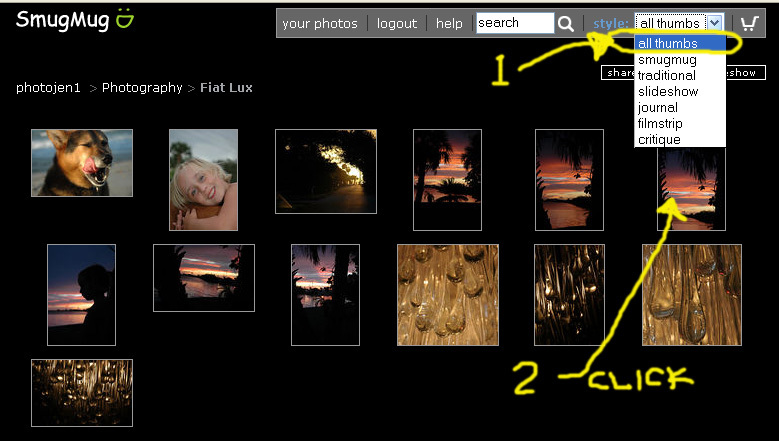 :D Just click the big white "Photo Information"